An Accelerated Freefall A Licence Course can be achieved within six good jumping days or you can take up to one year to complete your training. It just depends on you and the time you have available. A Skydiving A Licence is internationally recognised and this will enable you to jump unassisted at Drop Zones all around the world. 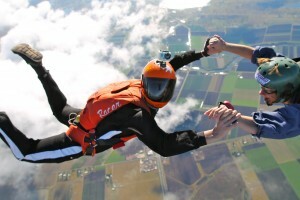 What is included in your Accelerated Freefall A Licence Course training?